Open the bag out to play, then just pull the cords to tidy up!! 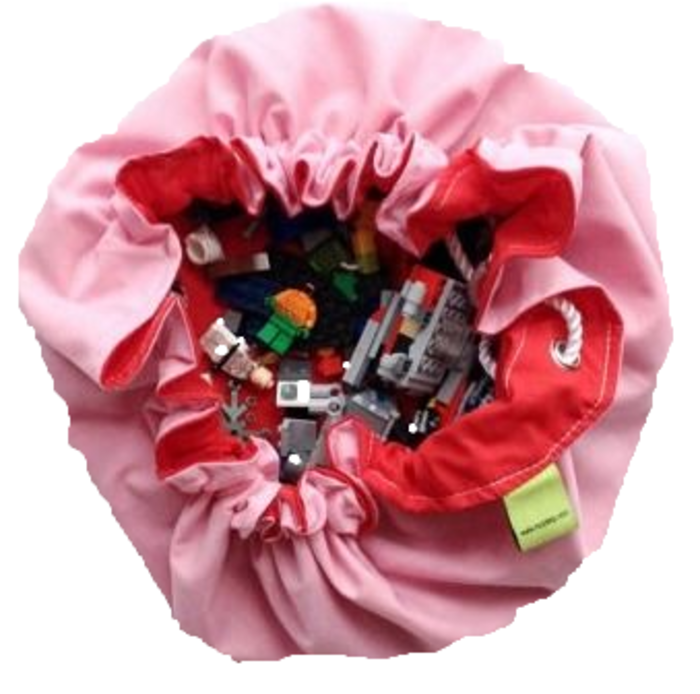 The Little Toyzbag's are great for beads, dolls accessories, marbles, jig-saw puzzles, smaller Lego® sets, or any toys that you want to keep together in one spot. 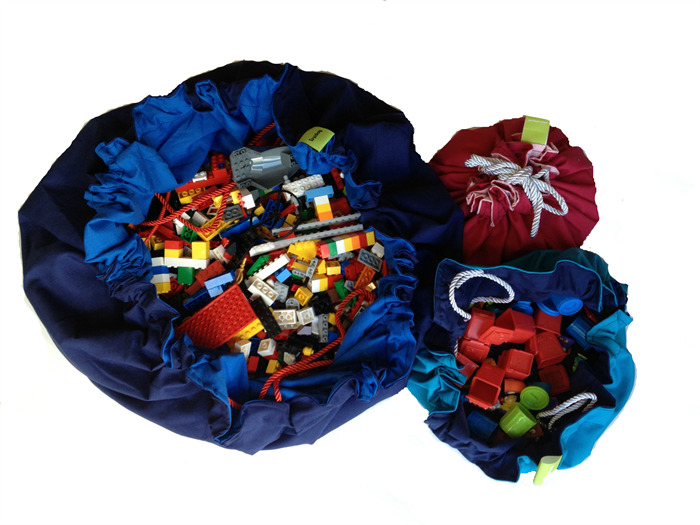 With a Lego® Bag & Playmat in One just pull the cords and the blocks, or toys on the mat disappear easily back into the bag. Great for Lego®, Duplo®, Meccano®, toy cars and figurines, or any toys with lots of little pieces. No more picking up blocks over and over again!! 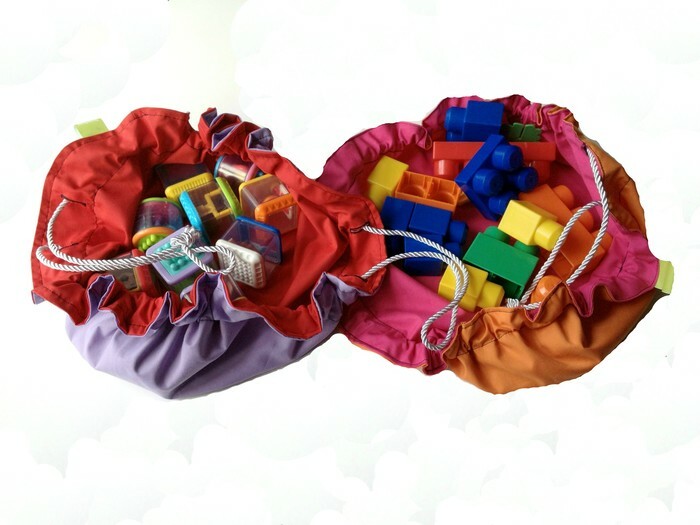 Toyzbag's are a decorative, practical, functional toy storage solution and are great for keeping toy's organised, they are also really easy for older kid's to use themselves. 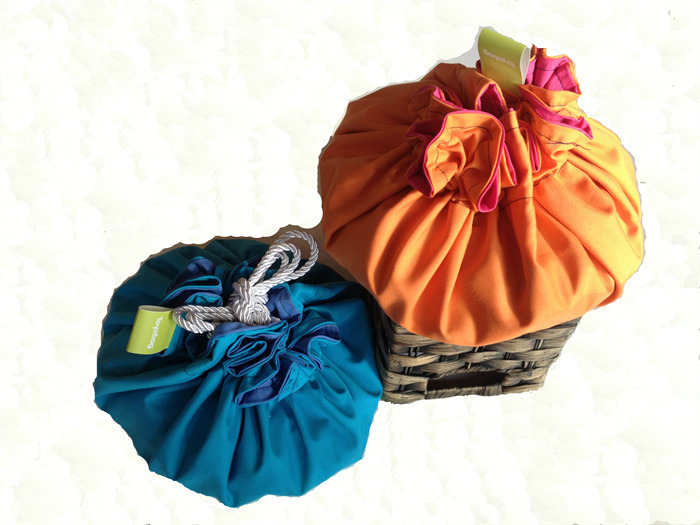 All bag's are made using a double layer of good quality cotton fabric and craft cord, with reinforced eyelets. They are strong and will hold a heap of blocks. Colour: pink with a red lining. Size: 55cm in diameter (when open as a mat). 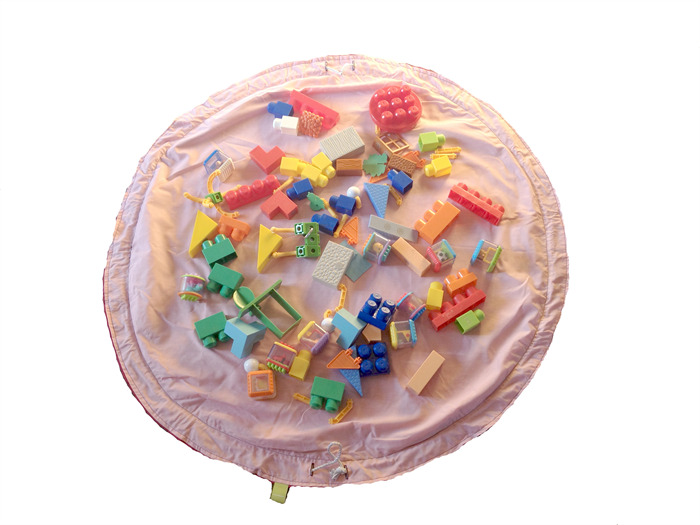 Toyzbags are also available in a large 120cm diameter size which are great for keeping control of all those blocks. If you have any questions or would like more information please contact us via the Madeit site, or by emailing contact@toyzbag.com. If you would like to pay by bank deposit please email me and I will send you bank details.